I asked her to suggest something that wasn’t pizza because I had it the night before for dinner and that day for lunch. Her response “Gahh. I like pizza.” I told her she could get pizza any where. After about a dozen text messages, she suggested Bar Louie in Newport. I thought “perfect, she can get pizza there and I can get Mexican if I want or something else delicious.” While at dinner, Alexis mentioned she really wanted Dewey’s Pizza. I told her she should have spoken up because I could have gotten a salad there but oh well… we were at a place we had agreed on. 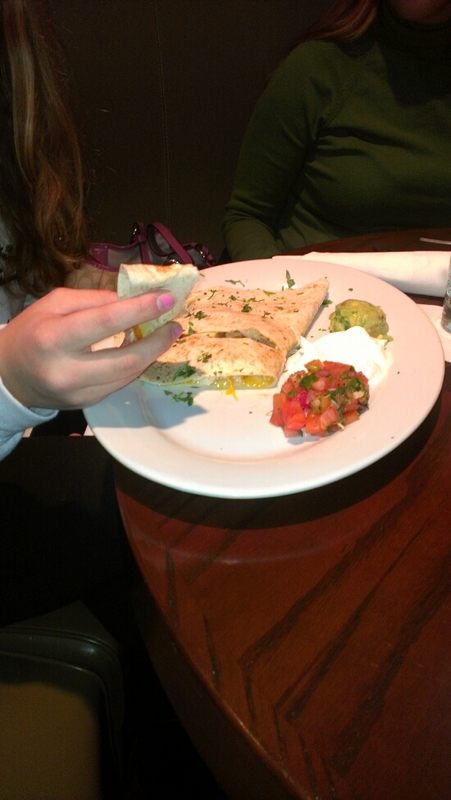 Yes, that is a chicken quesadilla with salsa, sour cream and guacamole! I did ask her over dinner where she had Mexican from the night before. She said Taco Bell. WHAT!?! Taco Bell is not really Mexican. 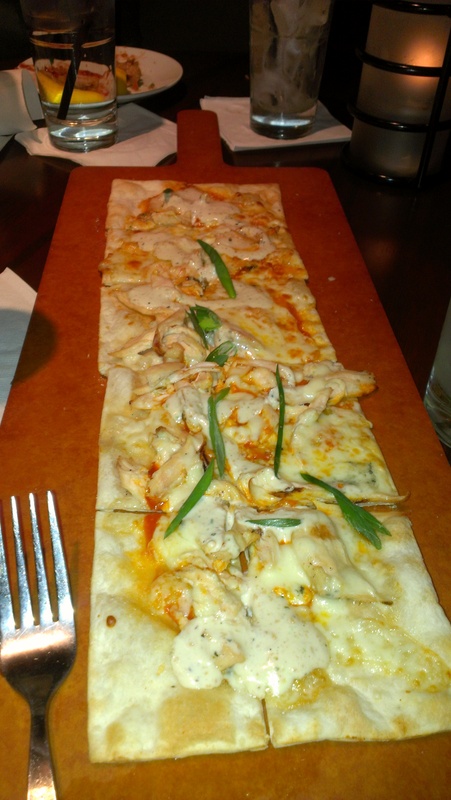 As Alexis pointed out to me, that is kind of like pizza. Ha Ha. Since it was National Margarita Day, Jess and I decided we must have a margarita or two. The server called it a skinny margarita but she didn’t mention the cost and of course it wasn’t on the menu. 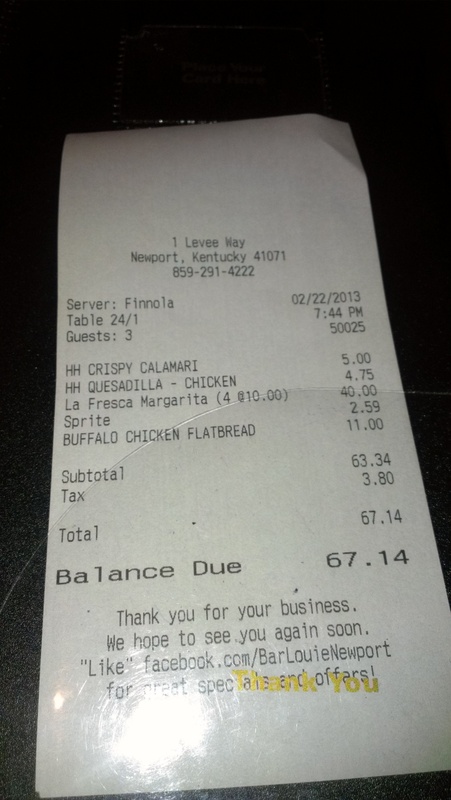 If you look closely at the receipt you will see that our four margaritas cost us $40! This made our bill about $75 with tip. We were very shocked that dinner for three with only four drinks cost this much! 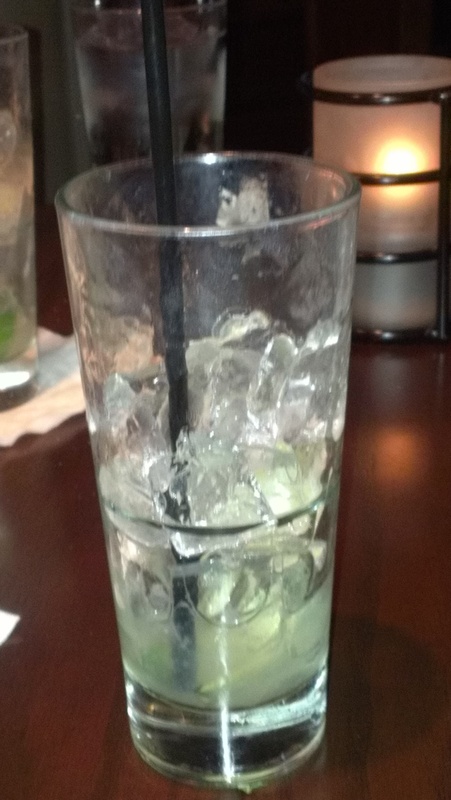 We decided that the skinny margarita was not skinny on the wallet and we needed to get every last drop out of it. At Rio Grande, Jess and I would have split the $12 fajitas and four margaritas for about $15. Alexis would have had an $8 dinner making our bill about $40 with tip and I would have fulfilled my craving for Mexican. Lesson learned… Just tell the kid you are going to eat where you want because she doesn’t really know what she wants any way. Ha Ha. 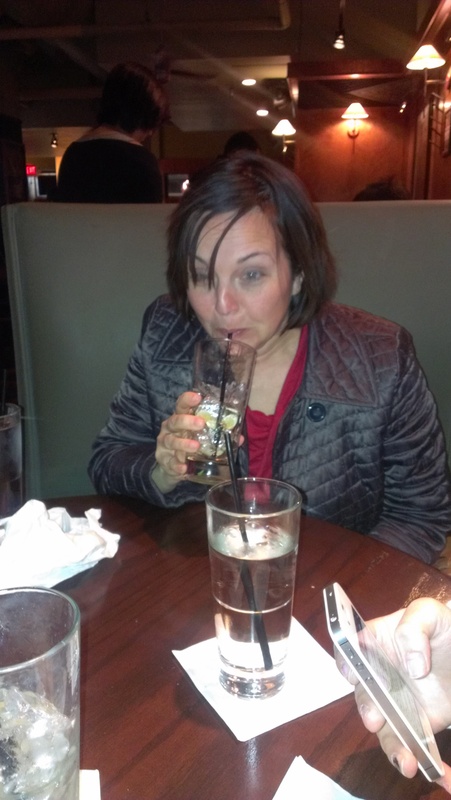 Other lesson learned… Ask how much drinks are before you order them! How does your family decide where to eat when going out? Have you ever been shocked by the bill?